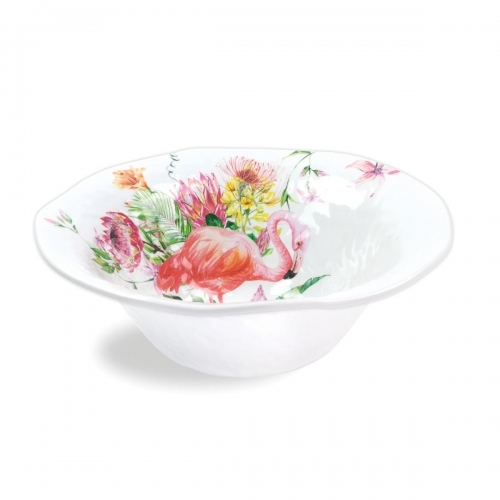 Flamingo Serveware Large Bowl Shop the largest selection of Michel Design Works serveware large bowl and more - Flamingo Collection. Plus free ground shipping on orders over $50. 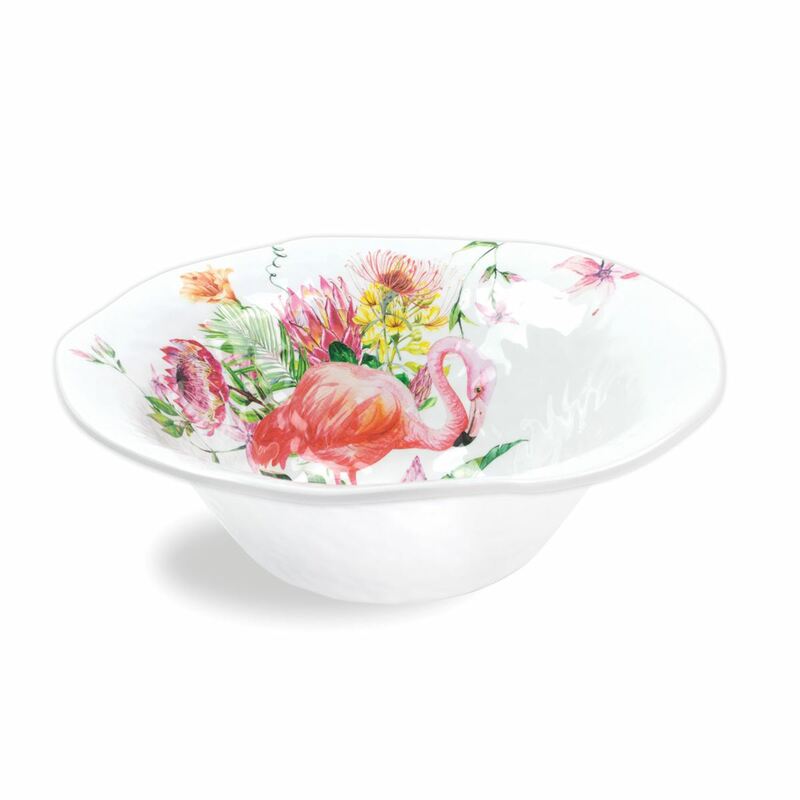 Our generously sized melamine serveware bowl is perfect for salads and pasta and is beautiful filled with a selection of fresh fruit. Approximate size: 14" x 5" / 35.5 cm x 12.7 cm.